Anyone has done an IVF with Fakih Clinic? What's your biggest parenting failure? 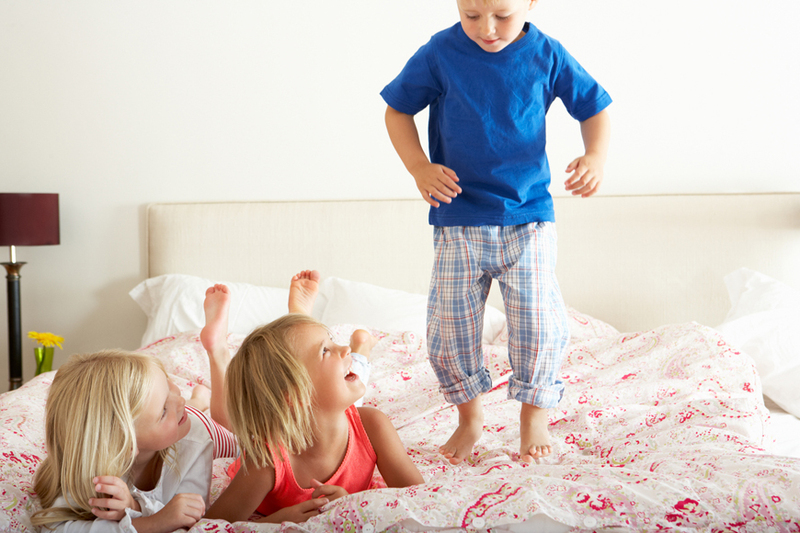 Struggling with a hyperactive toddler before bed? Here's some helpful advice. Bedtime… That exciting time of day where you try and get your toddler to go and sleep, so that you can also take a (well-deserved) breather after a long day. Here are some hacks for you if you struggle with a hyperactive toddler that doesn’t want to go to bed. Start getting the house ready for bedtime about an hour before it arrives. This includes starting to reduce the noise levels in the house, dimming the lights and shutting down from electrical devices. Having things calm down around the house will help your child relax and become sleepy to help make going to bed easier. Get some soothing music to play in the background to help set a relaxing atmosphere. YouTube has a variety of playlists that you can use otherwise gentle classical or instrumental music is usually a good choice. Don’t put the music too loud and be sure to switch it off after your child has fallen asleep so that it doesn’t wake them later at night. Taking a warm bath before bedtime is always fun, but it also helps make children feel snug before getting into bed. Try adding some relaxing aroma oils to their bathwater and then dress them in their favourite pyjamas after their bath. Get them straight into bed afterwards, as walking around might make them cold and in turn, make it difficult for them to fall asleep. If your child is still very young, a gentle yet firm massage can help them relax before falling asleep. Depending on their preferences, use a bit of lotion for the massage or simply do it straight on their skin. It will be beneficial for you to do some research about massage techniques for babies to get the most benefit from this. There are few things that works as well as giving a child a comfort item such as a stuffed animal or a soft blanket to cuddle with when they get into bed. It helps them feel comfortable and safe as nighttime settles in. A comfort item will also help your child sleep more easily on their own and keep them calm if they wake up during the night. Talking with your child is a great way to build your relationship with him or her and it keeps you up to date about what is going on in their lives. Spend a couple of minutes going through the highlights of both your days before going to bed. This can become a fun bedtime routine for many years to come that ensures a bit of quality time with your child to stay in tune as they grow up. A fun and educational way to calm your child before bed is to read them a bedtime story. Be sure not to read something that isn’t too exciting, but instead will calm them down and make them sleepy. Build up a collection of bedtime stories to help you keep your sanity and keep your child engaged. Bedtime is a special time of the day. Tuck your child into bed, give them a kiss and a hug and maybe do something silly like saying goodnight to the moon and stars or to stuffed animals in their bedroom. This will leave you both feeling snug and loved setting the tone for a great night’s sleep. There are many ways to soothe your child before bedtime. Keep in mind that not everything will work for your child. In due time you will however be able to set a routine with him or her and know exactly what to do to calm them before they go sleep. These will become special moments between you and your child that both of you look forward to. © EWmums.com All rights reserved.